Steve’s career has taken in senior roles in three large local authorities, a period in management consultancy with Coopers and Lybrand, and a lengthy tenure (2000-2013) as the Chief Executive of the Chartered Institute of Public Finance & Accountancy. He has a particular interest in public financial management and has served on or advised a number of prominent inquiries focusing on local government finance. 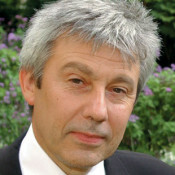 He was a member of the Balance of Funding Steering Group, chaired by Nick Raynsford MP, which reported in 2004, and an adviser to Sir Michael Lyons’ Inquiry into the future role, function and funding of local government, ‘Place-shaping: a shared ambition for the future of local government’, which reported in March 2007. He was also a member of the London Finance Commission, chaired by Prof Tony Travers, which published its report ‘Raising the Capital’ in May 2013. Over the years Steve has also held a number of non-executive/advisory roles. 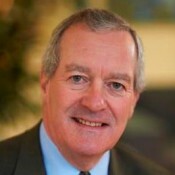 Of particular relevance to his position as Chairman of PSAA are his role as Non-Executive Director of the National Audit Office (2005-09), his trusteeship of the Centre for Public Scrutiny (2004-13), and his membership of HM Treasury Whole of Government Accounts Assurance Committee (2010-13). Steve continues to be involved in a range of different roles and organisations. He is also a member of the Board of the Education & Training Foundation, and a member of the Audit Committee of the University of Southampton. A qualified accountant member of the Chartered Institute of Public Finance and Accountancy (CIPFA), Caroline has an MBA from Warwick Business School and she has more than 25 years’ experience in audit, governance and financial management. 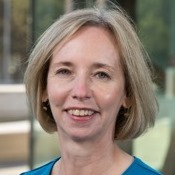 Caroline has held a number of senior positions; she was Deputy Auditor General with Audit Scotland between 2000 and 2010, including 6 years as Controller of Audit; she spent a year as Chief Financial Officer to the Turks and Caicos Islands Government, appointed by the UK Government’s Department for International Development to restore stability to the country’s finances. Previously Caroline has worked for the Accounts Commission for Scotland, the Audit Commission for England and Wales, and Wolverhampton Metropolitan Borough Council. Caroline served as President of CIPFA during 2006-2007 and was a member of the International Ethics Standards Board for Accountants between 2010 and 2015. 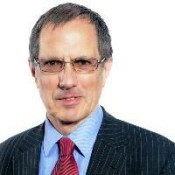 Clive is former Director-General of the Audit Commission in Wales and Deputy Auditor-General. He is currently Chair of the BT Wales Board. He is an experienced International Consultant, specialising in public services, governance and performance management. He has done extensive work on decentralisation, civil service reform and public services benchmarking in Tunisia, Nepal, Kosovo, and elsewhere. He was formerly Chair of the Local Better Regulation Office, of Supporta plc, and of SOLACE UK, and Chief Executive of Torfaen County Borough Council. He holds a BSocSci from Birmingham University, an MA in Government from the University of California, a D Phil from Oxford University, and a Professional Diploma in Management from the Open University. He is also a qualified lawyer. 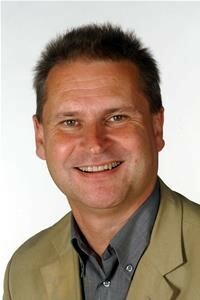 He was made an OBE in the 2013 New Years Honours list for services to business and the community. Keith joined the PSAA Board in December 2017. Keith was first elected to Eastleigh Borough Council in 1991 and has been Leader of the Liberal Democrat-led council since 1994. Keith is also a county councillor, having been elected to Hampshire County Council in 2005, and is a member of Hedge End Town Council and Bursledon Parish Council. He serves on the board of the Homes and Communities Agency, is a director of the Housing & Finance Institute Ltd (not for profit), on the Council of Governors at South Central Ambulance Service NHS Trust, is a governor of Barton Peveril 6th Form College, and a well-travelled international election observer. Stephen is a solicitor and a part-time consultant with Gowling WLG (UK) LLP. He joined what was then Wragge & Co LLP in 2000 after 26 years in local government, at first with Portsmouth City Council and then Birmingham City Council. He became a partner at Wragge & Co in 2006. At Birmingham, Stephen provided legal advice across a spectrum of local government services including education, housing, planning, highways, leisure and waste disposal. He was the lead legal adviser on local government finance. His breadth of experience allowed him to develop solutions to policy initiatives using corporate and commercial structures. At Wragge & Co Stephen was head of regeneration where he advised the GLA on the 2012 Olympic bid and after the Games the formation of the Olympic Park Legacy Company. He also advised on the setting up of the London Legacy Development Corporation by the Mayor of London under the Localism Act 2011. His regeneration brief covered both public and private sector clients and included helping develop the firm’s social housing practice.